A police barrier is seen before the Great Belt Bridge, Denmark, Sept. 28, 2018. Denmark’s arrest of a Norwegian national of Iranian descent on suspicion of helping prepare assassinations of Iranian Arab separatists has put the administration of President Hassan Rouhani under pressure at a time when it is reeling from US sanctions both at home and abroad. Of note, the Trump administration has over the past year urged Europe to adopt a tougher position on Iran, referring to Iranian “terrorism” on European soil. ASMLA is an Arab Iranian separatist group that has been linked to violence in Iran’s southwestern province of Khuzestan. Most recently, a spokesman for the Denmark-based group claimed responsibility for a Sept. 23 attack on a military parade in the provincial capital of Ahvaz that left over two dozen Iranians dead. In response, Iran summoned the British, Dutch and Danish envoys and called on Denmark and the Netherlands to extradite Iranian nationals on their soil who Iranian officials claimed were responsible for the attack. After the Iranian protestations, the Denmark-based group withdrew its claim of responsibility. Of note, Israeli media later reported that the Jewish state’s Mossad spy agency had assisted Denmark’s PET with thwarting the alleged assassination attempt. Iran has vehemently denied any connection to the alleged plot, calling it the result of a “Mossad program to kill the JCPOA [Joint Comprehensive Plan of Action].” Al-Monitor has learned from Iranian sources that while a call for the extradition of the Iranian Arab separatists was made, no formal extradition request was issued. The Denmark plot comes in the wake of a separate alleged Iranian bomb scheme in France in June, targeting the annual gathering of the France-based Iranian opposition group Mujahedeen-e-Khalq in a Paris suburb. French officials said the attack was foiled; as a result, a Belgian-Iranian couple was arrested and an Iranian diplomat posted in Austria was detained while on a trip to Germany. Iran has also firmly rejected any involvement in the French bomb plot, calling it a “false flag ploy” designed to sabotage Iran’s engagement with Europe to uphold the nuclear deal. Reports later confirmed that Israel’s Mossad spy agency alerted European authorities to the plot. The alleged Iranian terror plots have raised multiple questions. The perhaps most important dimension is their timing, which is directly linked to the matter of who would stand to benefit from them the most. Here, the picture remains murky. The Denmark plot was unveiled to the media Oct. 30. However, the arrest of the Norwegian suspect — which took place in Sweden — occurred Oct. 21. Moreover, Iranian Foreign Minister Mohammad Javad Zarif claimed in a Nov. 1 tweet that Israel’s Mossad spy agency had assisted in foiling the alleged plot on Oct. 29, the day before the PET chief’s press conference. Zarif also said the European Union had planned an Oct. 29 announcement on the long-awaited Special Purpose Vehicle (SPV) to sideline US sanctions. Reports in recent weeks had indicated that the EU was planning to make the SPV announcement prior to the Nov. 5 reimposition of US nuclear-related sanctions, even though the implementation of the EU program would take months. To date, there has been no such announcement. With reference to the bomb plot in France, Iran has pointed out that European authorities announced it to the media on the day of the arrival of President Hassan Rouhani in Austria for a state visit. Of note, the Austrian presidency in March 2016 announced that the Iranian president had canceled a scheduled visit at that time for “security reasons.” It is still unclear what those “security reasons” were. It is also important to mention that on Oct. 2, almost three months after the alleged Paris plot, a French diplomatic source told news media, “Behind all this was a long, meticulous and detailed investigation by our [intelligence] services that enabled us to reach the conclusion, without any doubt, that responsibility fell on the Iranian intelligence ministry.” The source added that Saeid Hashemi Moghaddam, the Iranian deputy intelligence minister and the director general of intelligence, had ordered the attack and that the Austria-based Iranian diplomat had tried to implement it. However, on Oct. 12, French President Emmanuel Macron walked back that claim, saying, “As you know, Iran is sometimes divided into different factions and tensions, and so I can’t say today whether the order came from the top or from this [security] service or that division.” A senior French official separately told media that the plot was likely to have been hatched by hard-liners bent on undermining Rouhani. While the idea of rogue operatives in Tehran engaging in terror plots to torpedo the engagement between Iran and the European Union does not appear far-fetched, the Islamic Republic’s handling of the nuclear dossier in past years — as well as the alleged entity involved in at least one of the plots — cast doubt on the “rogue operative” thesis. While the head of the Intelligence Ministry is generally seen as an appointee of Supreme Leader Ayatollah Ali Khamenei, the intelligence minister broadly answers to the president, not the supreme leader. This has particularly been the case under Rouhani. Indeed, under Mahmoud Alavi, the Intelligence Ministry has repeatedly and publicly clashed with the parallel Intelligence Organization of the Islamic Revolutionary Guards Corps (IRGC), which does not answer to Rouhani. Most notably, the two spy agencies have clashed over some of the IRGC Intelligence Organization’s detention of Iranian dual nationals. Here, the case of Abdulrasoul Dorri-Esfehani — a member of the Iranian nuclear negotiating team — particularly stands out. While the judiciary and the IRGC Intelligence Organization have referred to him as a “spy,” the Intelligence Ministry has remarkably publicly disputed such claims. Thus, the idea that a deputy of Alavi ordered a plot to undermine Rouhani is difficult to conceive. If anything, the most likely “rogue” actor engaged in alleged terror plots in Europe would be the IRGC’s Intelligence Organization. However, the latter assumption is also a problematic. Iran has since 2013 exercised considerable discipline on matters related to the nuclear file. While factional sniping has been unrelenting with highly venomous hard-liner rhetoric and allegations aimed at both Rouhani and Zarif, in recent years there have been no “rogue” actions by the security services that could have been used to undermine dialogue with world powers, and Europe in particular. For instance, the Nov. 19, 2013, bombing of the Iranian Embassy in Lebanon by Sunni jihadis, which left 23 people dead — including the Iranian cultural attache — came five days before the announcement of the interim Joint Plan of Action in Switzerland after unprecedented talks between Iran, the United States and five other world powers. Iran immediately blamed Israel. Yet there were no retaliatory attacks. Similarly, on Feb. 19, 2014, Sunni jihadis targeted the Iranian cultural center in Beirut, killing four people. The next day, Iran and six world powers announced in Austria that they had agreed on the framework of what would later become the Joint Comprehensive Plan of Action (JCPOA). In that instance, there does not seem to have been any “rogue” responses either. The murky nature of these alleged plots appear to be well understood by both the French and Danish governments, who can be assumed to neither have any motivation to implicate Iran in false flag operations nor to give the Islamic Republic a free pass on terrorism — and especially on European soil. Indeed, in the case of Denmark, the authorities have, while calling for EU sanctions to be imposed, refrained from even expelling the Iranian ambassador. As such, to prevent any damage to its engagement with Europe, Iran ought to explain itself with evidence that it is not involved in the plots if that is indeed the case. Conversely, France and Denmark should make clear to Tehran what groups such as the Mujahedeen-e-Khalq and ASMLA are doing on European soil that could promote violence within Iran. Most of all, there is a need for both sides to compartmentalize their issues so as to avoid a situation in which a nuclear crisis is added to the plate. 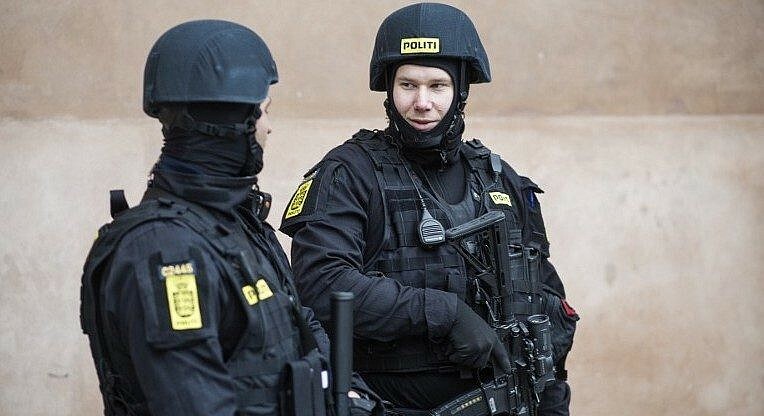 COPENHAGEN, Denmark (AP) — Three members of an Iranian opposition group were arrested Wednesday on suspicion of having praised those behind a September 22 terror attack in Iran that killed at least 25 people. Denmark’s intelligence agency has said that a police operation on September 28 that briefly cut off Copenhagen from the rest of Denmark stemmed from an alleged Iranian plot to kill an ASMLA activist. The person was not named. 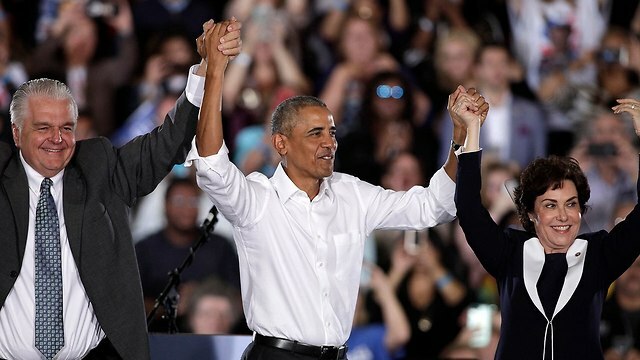 Source: Democratic midterms win: Good for Iran, bad for Israel? Op-ed: If the Democrats regain control of at least one house of Congress, they would make it harder for Trump to govern and could block further moves he wishes to take against Tehran. For Israel, a Democratic victory could undermine the Trump administration’s pressure on the Islamic Republic and pro-Israeli moves. There’s a strong link between the new US sanctions on Iran that went into effect on Monday and the midterm elections taking place the next day. The new and harsh sanctions the Trump administration is imposing on the Iranian oil and gas industry are meant to further exacerbate the economic crisis in the Islamic Republic and consequently increase the public pressure on the leadership in Tehran.Unlike the sanctions that preceded the 2015 nuclear agreement, which were imposed by all world powers—including Russia and China—this time the US stands alone. Moreover, the European Union and the other world powers are making every effort to torpedo the American sanctions. The export of oil and gas is Iran’s main source of foreign income, and the loss of even a part of it could be critical, especially in the midst of the economic crisis Tehran is experiencing, which is only getting worse. The US is hoping the yoke of the sanctions will pose a threat to the ayatollahs regime, intensify the mass protests against the government, or at the very least lead to negotiations over a new nuclear agreement, which will do away with the flaws of the existing deal (that the US has already pulled out of). The new agreement, Washington hopes, will address issues that were left out of the original one, including the testing of long-range missiles that can carry nuclear payloads and Iran’s aggression across the Middle East. The Iranians are very worried by the destructive ramifications of the new sanctions. 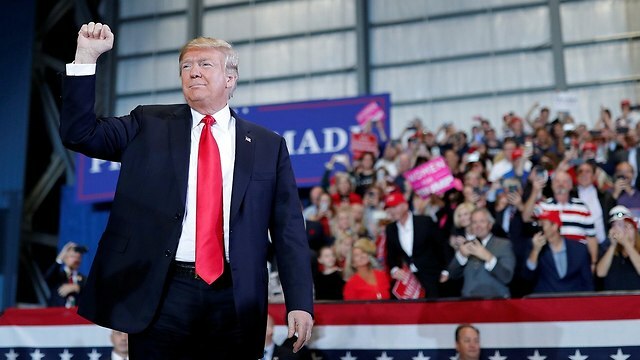 They therefore hope for a Republican loss in the midterm elections, working under the assumption that if the Democrats manage to regain control of at least one house of Congress, Trump would have a hard time governing and would have to invest a lot more efforts into passing budgets, laws and decisions. If the Democrats gain control of the House of Representatives, the regime in Tehran hopes, they may launch a process to impeach the president, which could, at the very least, hurt his chances to be elected for a second term in 2020. In any case, the Iranian leadership believes that if the Democrats win the midterm elections, they would limit new possible initiatives Trump might wish to take against the Islamic Republic, and so Tehran would only have to hold on for two years against the sanctions. After that, a Democrat might get elected to the White House and completely change the American attitude towards Iran, returning it to what it was in the Obama era. If the Republicans win and maintain control over both houses of Congress—consequently bolstering Trump ahead of the 2020 presidential elections—Iran would have to turn to other options. A Democratic win could also harm US-Israel ties. Trump is the most pro-Israeli American president since Ronald Reagan. The Democratic Party, meanwhile, is moving towards the radical left, which will affect the midterms as well. Israel support among Democrats has plummeted over the past decade, which is evident in public opinion polls, the party’s platform, and the positions of some of its veteran representatives as well as of those who might join them in the coming election. The fight between Israel and Iran will move to Washington with the midterm elections. Just as Iran hopes for a Democratic victory, Israel wishes for a Republican win, which will allow Trump to continue his pressure on Iran and his pro-Israel moves. And so, the midterm elections’ results could have a significant impact on Israel’s security and welfare. Eytan Gilboa is an expert on the US, the Director of the Center for International Communication and a senior research associate at the BESA Center for Strategic Studies at Bar-Ilan University. Now that they have taken control of the 435-member House of Representatives for the first time since 2011, Democrats will decide what legislation is considered in the chamber. WASHINGTON – Democrats will use their new majority in the US House of Representatives to reverse what they see as a hands-off approach by Republicans toward President Donald Trump’s foreign policy, such as revising the stand on Iran, and push for tougher dealings with Russia, Saudi Arabia and North Korea. “I think it’s good to have some kind of a dialog with them. But we shouldn’t be deluded in thinking that they’re going to have any major changes,” Engel said. Three Iranians traveling with fake Israeli passports were detained in Bulgaria over the weekend, The Sofia Globe reported. The men were detained at the Bulgarian border as they attempted to enter the Kapitan Andreevo crossing from Turkey – a major transit point for entering Europe, the report said. It is unclear though, how they managed to travel through Turkey without being detected. The three men, aged 21, 28 and 32 arrived on October 31 and carried Israeli passports that had been “falsified,” the Interior Ministry told the Bulgarian media. They were detained by border police and then taken to a detention center in Lyubimets, in the southeast portion of the country where “fast-track proceedings” – a way to quickly deport the individuals – were initiated. This is not the first time Iranian citizens have been caught using fake Israeli passports. In July, an Iranian national, Esmaeil Kazem Hosseinitaghi, 42, was arrested at Dehli’s Indira Gandhi International Airport, traveling using a fake Israeli passport, and was then returned to Kathmandu, his immediate point of departure, The Himalayan Times reported. According to the report, Hosseinitaghi procured the passport in Turkey and was planning to travel to Europe. “It is easier to enter Europe with an Israeli passport. I used to keep one passport in my pocket and show another passport to the airport immigration officials,” the Iranian national told immigration officials. “I faced security threats in my home country and therefore wanted to flee to Europe for my safety. I wanted to settle in Europe with my family,” Hosseinitaghi said. In early 2016, an Iranian couple was caught in an airport in India traveling with both Iranian and fake Israeli passports. They were arrested at Chennai Airport before they could board a British Airways flight, The New Indian Express reported. The travelers arrived in Chennai on a domestic flight from Goa, where the passports were forged, and were questioned by Indian intelligence agencies. According to the report, the woman had been living in Pune for the last ten years, while the man was working in Goa. After getting married, they planned to settle in the US and forged Israeli passports as a means to enter the country. There have also been numerous reports of Iranians trying to enter Europe with fake passports of other nationalities. In April, an Iranian couple was arrested in Bangalore, India, trying to board a plane to Malaga, Spain, using fake Spanish passports. In February, an Iranian man was blocked from boarding a flight to the UK when it was discovered that his Danish passport was a fake. The same week, an Iranian woman was arrested en route to Britain using a fake UK passport. In November 2017, another Iranian woman was stopped at Bangkok airport, attempting to fly to the UK on a fake British passport. In addition to individual cases of passport fraud, Reuters reported in June that numerous Iranians had bought passports from the Comoros Islands, a small nation between Mozambique and Madagascar. They included senior executives of companies working in shipping, oil and gas, and foreign currency and precious metals – all sectors that have been targeted by the international sanctions against Iran. Diplomats and security sources in the Comoros and the West expressed their concern that some Iranians acquired the passports in order to protect their interests, as sanctions crimped Iran’s ability to conduct international business. Comoros passports offer visa-free travel in parts of the Middle and Far East and can be used by Iranians to open accounts in foreign banks and register companies abroad. Since then, the US Treasury has imposed fresh sanctions against people it links to Iran’s Revolutionary Guards, the nation’s missile program, some Iranian airlines and money transfer services. The most recent round of sanctions, which was implemented on Monday, is part of a wider effort by Trump to force Iran to further limit its nuclear work and halt its missile program. It is also designed to end its support for its proxy forces in Yemen, Syria, Lebanon, as well as in other parts of the Middle East. Defense Department Inspector General presents sobering report on Iran’s influence and unclear US policy to confront Iran’s role in Iraq and Syria. However the quarterly report, which covers operations from July to September of this year, notes that Iran is increasingly a threat to the US and examines how Washington is now changing its posture in Syria as the mission changes. In the last several months US officials have said that American troops would remain in Syria as long as Iranian troops were also present in the country. The US is now seeking to “leverage” its influence in Syria to remove Iran. This is a major mission change from a conflict that began in 2014 to confront ISIS. The US base at Tanf, located in southern Syria near where the Jordanian and Iraqi borders meet, is also the subject of the report’s review. It notes that “while Iranian-backed miliitas may present a threat to the US and Coalition forces in Syria, neither Iran nor Iranian-backed militias had hindered counter-ISIS operations.” The garrison at Tanf restricts the movement of the Iranians. How to manage all these policies, some of which may be contradictory? Robert Karem, then the Assistant Secretary of Defense for International Security Affairs said the US will “desegregate” these objectives. Confronting Iran is now called an “ancillary” and “residual” benefit of the anti-ISIS war. “These officials raise questions about when the US troop presence will end,” the report notes. In Iraq the US is also facing an increasing Iranian threat. US forces returned to Iraq in 2014 to confront ISIS and now run an extensive training program with the Coalition of 70 countries that are fighting ISIS. ISIS has “lost all territory in Iraq,” according to the Defense Department. But with US forces still in Iraq, the presence of Iranian-backed forces is a concern. This includes 100-150 Iranian Revolutionary Guard Corps – Quds Force members. The Report blames them for two attacks that targeted US facilities in the last months. “Mortar attacks that targeted the Green Zone and landed near the US Embassy in Baghdad and rocket attacks that targeted the Basra airport, near the US Consulate General.” The US closed its Basra consulate in response. How will the US confront this Iranian threat? Washington is committed to helping the Iraqi government defend itself, but with Iran’s role growing and political parties in Iraq, as well as militias, aligned with Iran, how does the US make sure that support for the government does not end up in Iran’s hands. The report says the US is committed to countering “malign Iranian influence” but without a policy from Washington directing it how to do this, the report seems to leave a large question mark over what comes next. Survey by the U.K.’s Campaign against Anti-Semitism finds 90% of British Jews believe Labour Party is anti-Semitic • European Jewish ‎Association ‎calls on all EU political parties to designate ‎boycott, divestment and sanctions movement as anti-Semitic‎.